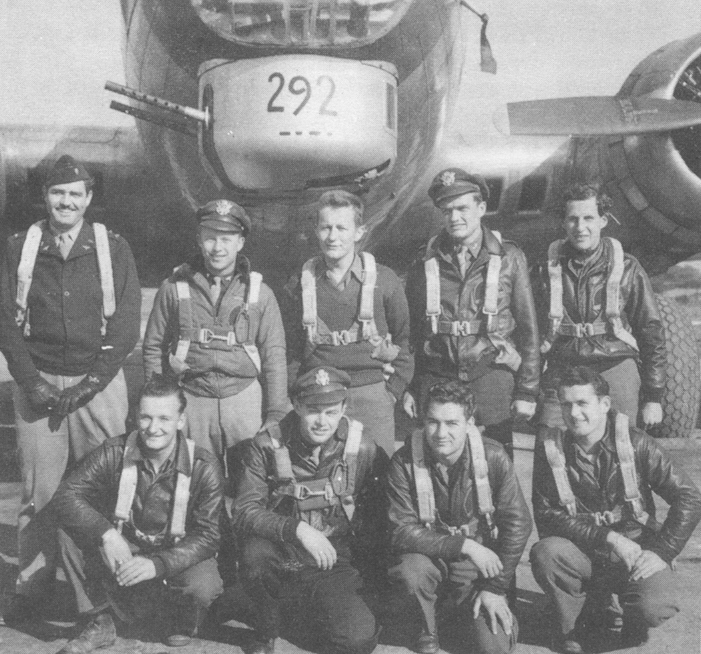 The Dees Crew after their final mission on December 6, 1944, the only time they flew in 43-38292, "Conga Babe." Standing L-R: Don Rankin, John Dozier, Harold Fondren, C. Wrightsman and Cliff Lattin. Kneeling L-R: Vince Hosack, Robert Dees, Robert Aldrich and Steve Walch.